As the owner of 42 coffee mugs (yes I counted) the only thing more important to me than my coffee blend is the mugs I pour it into. I have mugs for the holidays, summer mugs, birthday mugs, mugs with initials; basically, I have a mug for every coffee occasion. But I can always use more and if you’re a java drinker I bet you feel the same way. 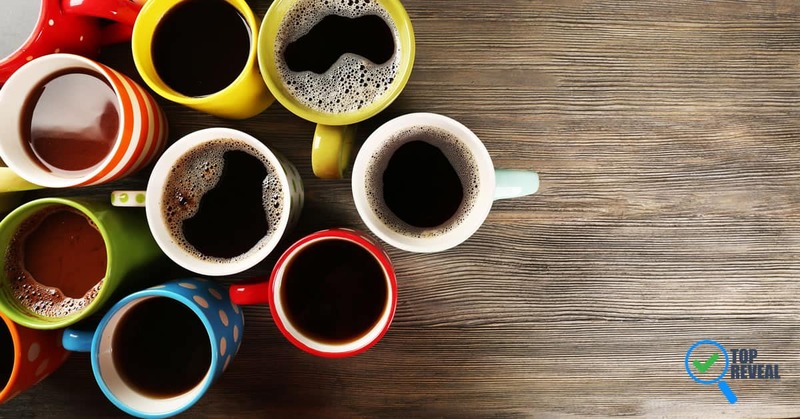 So, whether you want to give a “custom” mug as a gift or just want one with your favorite saying, my list of 20 crazy cool DIY coffee mugs has just what you need. Just in time for all those graduations comes this mug from Designer Trapped in a Lawyer’s Body. It’s the perfect way to take an ordinary gift and turn it into something special. 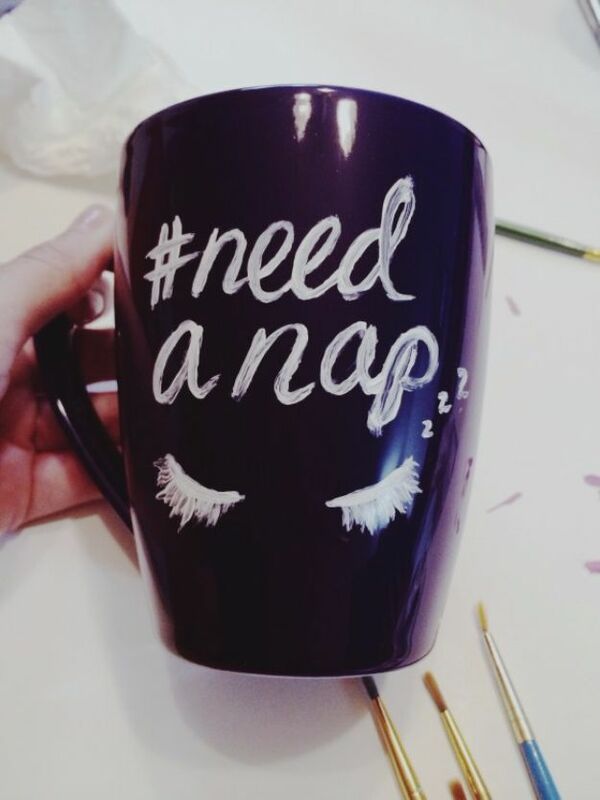 Chalkboards are all the rage these days, so why not add one to your mug? 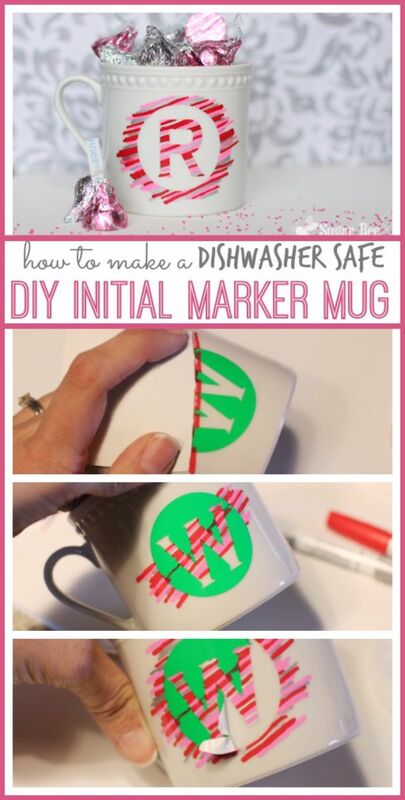 This tutorial is easy and lots of fun; you can leave messages for your spouse or parent and change it up every day so it always feels like it’s a new mug. 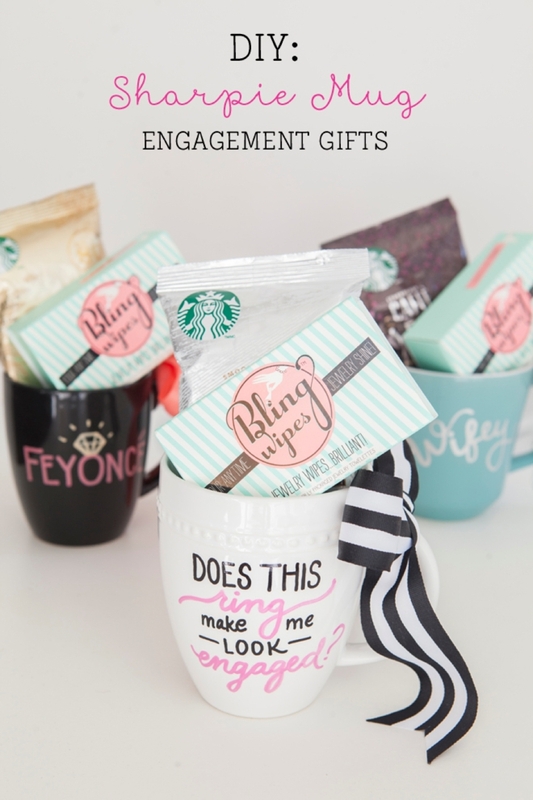 If you know someone who is recently engaged this mug on Something Turquoise makes the perfect gift. Bonus points if you write it using her bridal colors! Do you love Star Wars or know someone who does? If so this mug from Geek DIY is a must! May the force be with you with every sip. 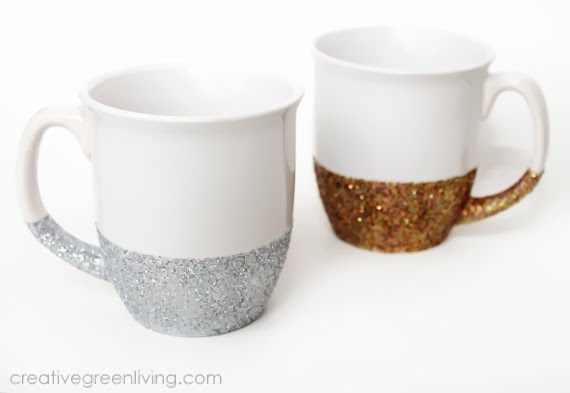 For all the glam girls out there, these mugs by Creative Green Living are guaranteed to perk you up almost as much ss your coffee. And they’re dishwasher safe. 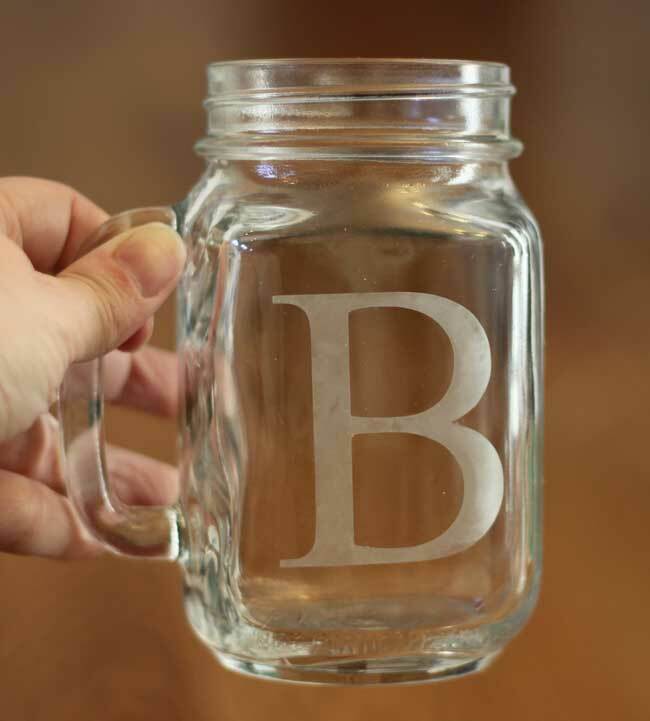 Those in need of an extra-large cup o’ Joe should consider this fun project using a mason jar from Sometimes-Homemade. It’s a little more complicated than the others, but oh so worth the effort. Wake up feeling all bright-eyed and bushy-tailed with this DIY by I Put a Bird on It. These are also great to use for a party, like a family birthday- just design a whole bunch of them and you’re ready to go. Classy Clutter keeps it classy alright with this ingenious design using bottle caps! The caps help you make clean, even, scallops and you can gift it by filling it with your favorite pack of coffee. A portable mug is a must for those who are on the go, whether its to work or a day of errands; this funky design by The Swell Designer has a 70’s vibe that’s oh so cool. And for anyone with kids this is great at home too because you don’t have to worry about lil hands spilling scalding java. This set of mugs and plate from All Things With a Purpose makes the perfect wedding gift. Its personal, fun, and easy to make. Coffee lovers and the people who love them know just how essential ths mug from joann is. Don’t even try to speak until they’re a couple of sips in. 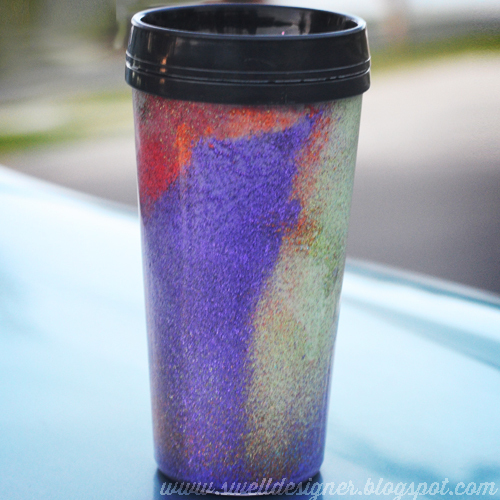 If you love coffee as much as I do then you’ll love this cup from bydawnnicole. Simple, clean, and classy, it puts a fun spin on my, and your, ongoing love affair with just about every type of coffee. This adorable cup by iheartnaptime melts my heart and it will do the same for whoever you give it to. This makes an awesome gift for a spouse or you can help your kids draw it for dad- it may not come out perfect but trust me, he won’t care. Every day will feel like spring when you paint this mug using the tutorial by ilovetocreateblog. And you can play with colors or even use a different flower, like say Holly, if you want to make this at Christmastime. Speaking of Christmas, makey your coffee taste even better with this DIY via The Casual Craftlete. 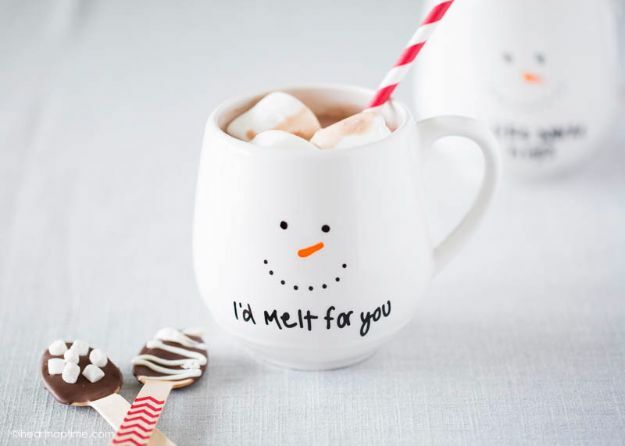 And you can do these for the whole family- just pour some hot cocoa for the kids! These dainty cups from A Pop of Red may just be too pretty to drink from. But trust me you can and you should because it will put an instant smile on your face. Make a sweet gift for Beauty and the Beast fans. Who doesn’t love sprinkles? 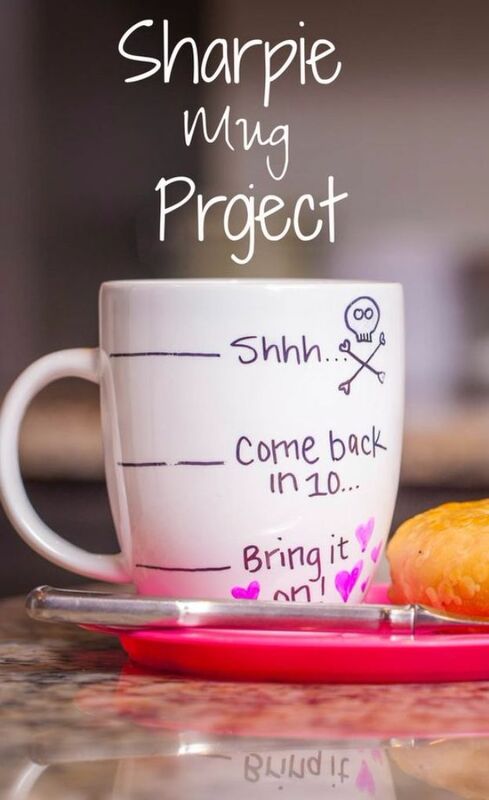 We sure do and we love this cup design from Studio DIY which brings out the kid in all of us. And once again you can make this for your little ones- just fill it with juice or chocolate milk. For those times when you need a jolt to get you through the rest of the day this mug from rightwhereileftoff is just what you need. Take it to the office, your boss and co-workers will get a kick out of it. 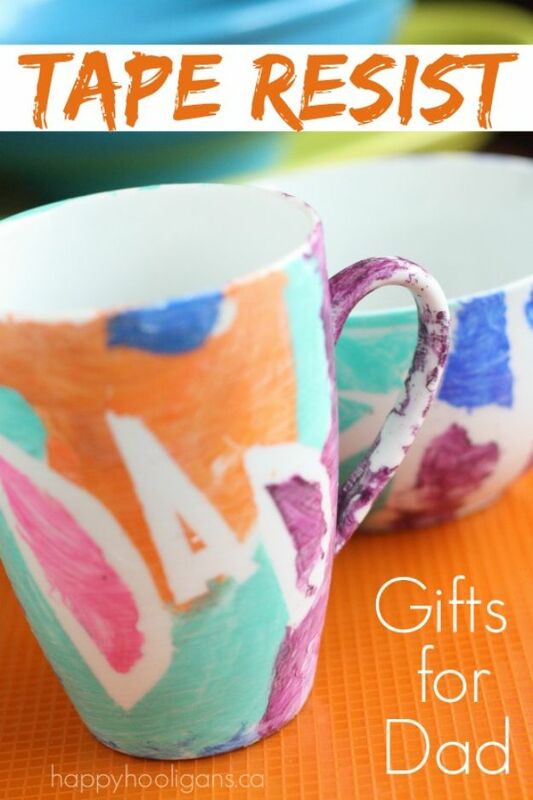 This cup by happyhooligans works for Father’s Day or any day you want to show pops just how much he means to you. Use his favorite sports team’s colors for an added personal touch! See some more Coffee Table DIY ideas here. I loved the cool design on this cup from sugarbeecrafts, which is why I made three of them- one for me and one for my husband and sister. It’s super easy and the colors come out bold and striking. 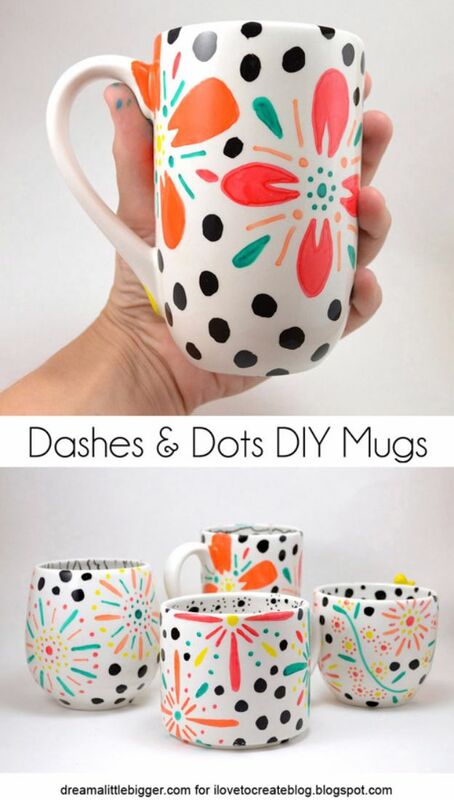 I hope you enjoyed my 20 DIY coffee mug ideas. They are crazy, cool, and fun to make. Share this article with your family and friends and share your design ideas with us!